There are some very different interpretations of Ludwig Wittgenstein (1889-1951). I mentioned certain of these in entry no 2. I also stated that the Tractatus (1921) did not inspire me, but only interested me. This famous treatise was certainly an influential and significant work. A key sentence of the Tractatus is well known. “What we cannot speak about we must pass over in silence.” Much depends upon what we really can speak about. A basic problem looms. There is still no definitive or standard view of what the Tractatus means. Contrasting interpretations of this salient text can evoke irritation. The ambiguity discernible here perhaps underlines Wittgenstein’s own statement, made to his publishers, that what the Tractatus did not contain was more important than what it did contain. This paradox is sometimes interpreted in the context of the “metaphysical” dimension which Wittgenstein regarded as being beyond speech. 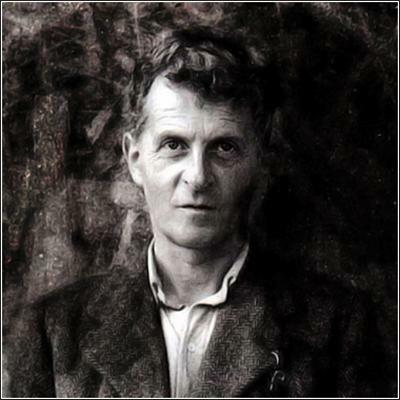 According to one trend of exegesis, Wittgenstein recognised deficiencies of the Tractatus in his later years. “It was above all [Piero] Sraffa’s acute and forceful criticism that compelled Wittgenstein to abandon his earlier views and set out upon new roads” (G.H. Von Wright, “Biographical Sketch,” in Norman Malcolm, Ludwig Wittgenstein: A Memoir, Oxford University Press, 1958; repr. 1980, p. 15). Another interpretation suggests that he was less discontented with the Tractatus in his mature years than is often believed. The crux here is that Wittgenstein was more dissatisfied with the assumptions that he probed, not with his actual conclusions. The basic confrontation transpired to be with logical positivism. He examined the belief that an entirely empirical language is possible. Adherents of this explanation say the Tractatus proved the proposition about language to be untenable. In this perspective, Wittgenstein had no reason to correct anything in the Tractatus at a later date. From this angle, his main point of disagreement was with what other philosophers made of the Tractatus, especially the Vienna Circle, who were enthusiastic about this work. Wittgenstein is said to have perceived that Bertrand Russell, G.E. Moore, Rudolf Carnap, and others did not fully understand the arguments involved. In this light, the flawed interpretation of the Tractatus by the Vienna Circle was the main reason for Wittgenstein’s return to Cambridge in 1929 and subsequent application to the Philosophical Investigations (1953). Some investigators have found a problem in Wittgenstein’s “contemplative philosophy.” His form of verbalism avoided “metaphysical” identifications. However, he did at least once express a positive view about the conception of God. There are different commentarial statements about whether he actually believed in God. In theory, he should have remained silent about such beliefs, in accord with his austere discussion of language philosophy as represented in the Tractatus. The significant memoir by Professor Norman Malcolm states: “Wittgenstein frequently said to me disparaging things about the Tractatus. I am sure, however, that he still regarded it as an important work” (Malcolm, Ludwig Wittgenstein: A Memoir, repr. 1980, p. 69). Malcolm also penetrated the difficult subject of religion in this instance. Wittgenstein told Malcolm that he had been contemptuous of religion in his youth; at about the age of 21, a change occurred in him, when “for the first time he saw the possibility of religion” (ibid., p. 70). Then during his service in the First World War, he was strongly influenced by Tolstoy’s writings on the Gospels (ibid.). Yet he produced such an ostensibly “positivist” work as the Tractatus, from which Malcolm cites 6.44: “Not how the world is, is the mystical, but that it is.” Like other aphorisms of Wittgenstein, special interpretation is needed. Wittgenstein has been described as a tortured genius, subject to bouts of depression and suicidal tendency as a consequence of his homosexual disposition. One interpretation is that he was ashamed of the disposition and wanted to escape from it. He contrasts with the more suave and socialising heterosexual figure of Bertrand Russell (1872-1970), his former tutor who became a figurehead of the radical liberalism gaining popularity at the end of Russell’s long life. It is possible to criticise both of these entities for lifestyle problems without denying their intellectual merits. See further Ray Monk, Ludwig Wittgenstein: The Duty of Genius (1990); Monk, Bertrand Russell: The Ghost of Madness, 1921-1970 (2001).